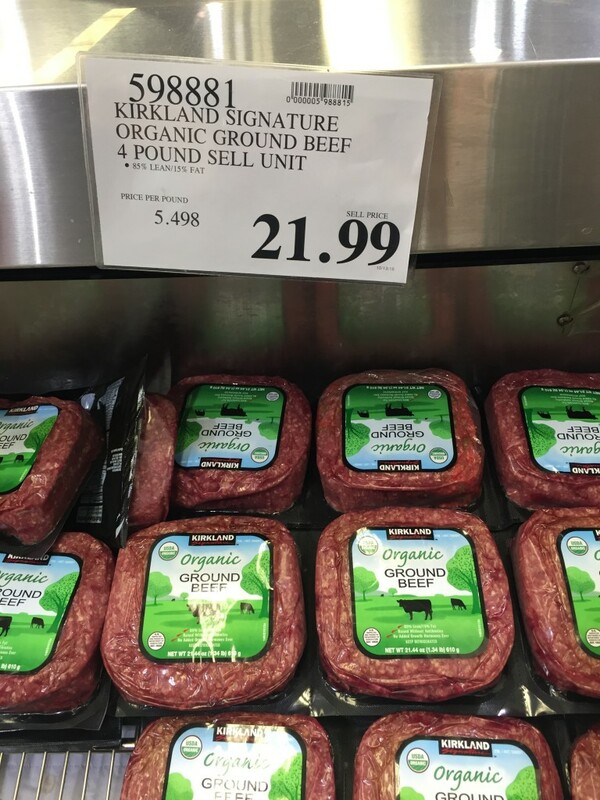 The Kirkland Organic Ground Beef is one of my favorite meat products at Costco. Ground beef is very versatile. You can use it to supplement many dishes. This organic ground beef is delicious. I pick it up on most of my visits. Yes, you are paying a premium price for this product. However, the quality and taste is well worth it. Don’t settle for the supermarket ground beef. Those ground beef often have unknown origins. 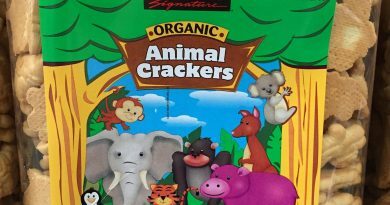 These uncertified producers are also free to add unhealthy fillers into their ground beef. 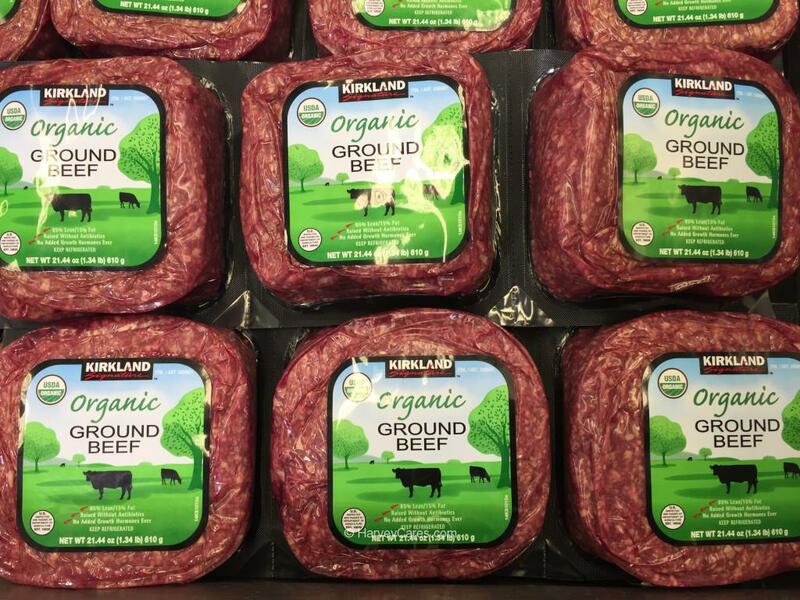 Kirkland organic ground beef is tested and certified organic. 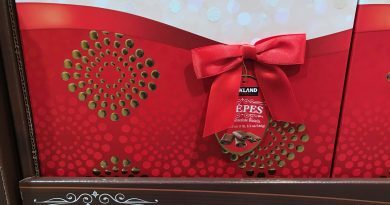 Kirkland Signature guarantees your satisfaction. You could make many things with quality ground beef and having a few pouches in the freezer is great backup. Kirkland organic ground beef is flexible and perfect for hamburgers, pastas, tacos, and many other dishes. Looking to Purchase Kirkland Organic Ground Beef? This product is not available online. If it is, the ground beef comes at a very high price given the refrigeration needs. Visit your local Costco warehouse and pick up one of these. Since it is a Kirkland Signature product, your satisfaction is guaranteed. Yes, you can only find the Kirkland ground beef at a Costco warehouse. Shopping for the Best Beef Products? The Kirkland Organic Ground Beef is wonderful. Back to the good stuff! Take a look at the detailed review of Kirkland Organic Ground Beef below. The Kirkland organic ground beef serving size is 4 oz (112 g). There are about 16 servings per container. 240 calories per serving. 150 calories from fat per serving. 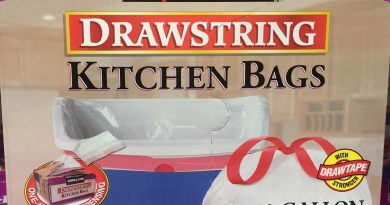 This is a 4 pound container. Please note that the container pertains to the whole three package link. 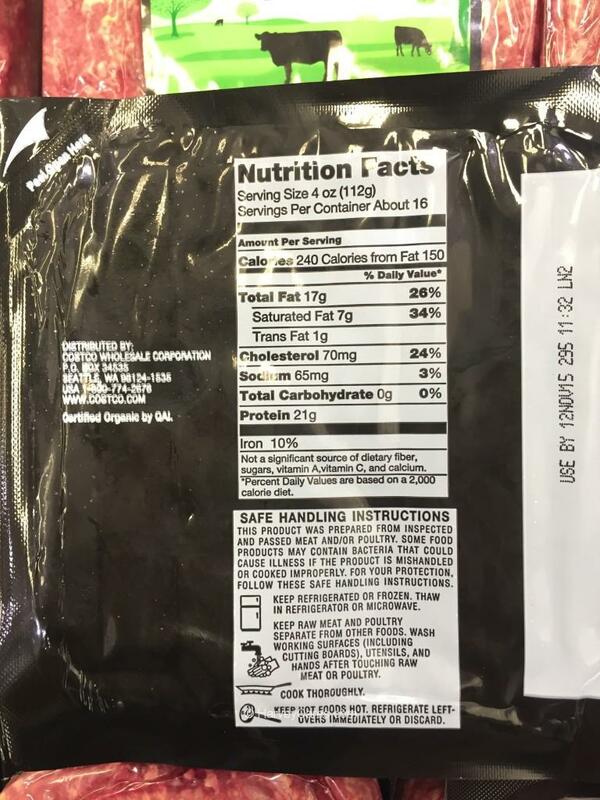 So each Kirkland organic ground beef “pouch” has about 4 servings. 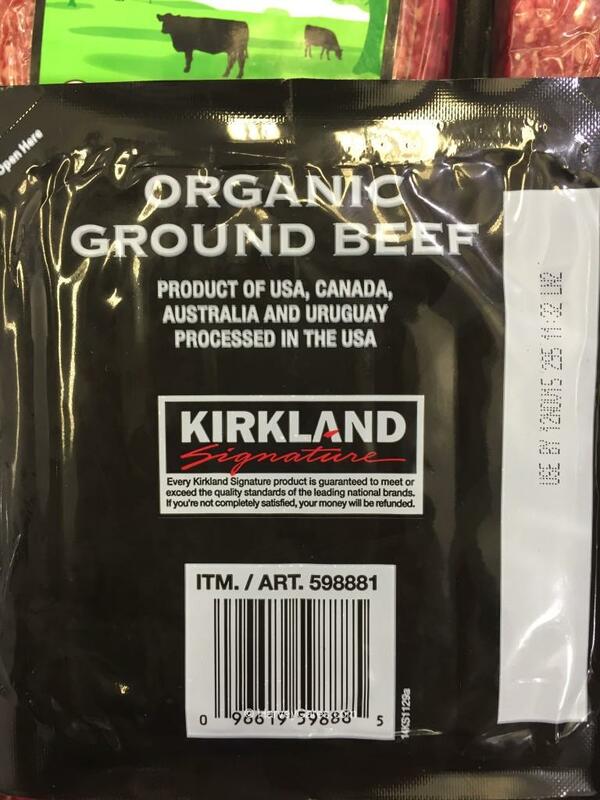 Kirkland Organic Ground Beef is a product of USA, Canada, Australia, and Uruguay. The ground beef is certified organic from all of its sources. I have found the ground beef to be very consistent. Despite it possibly being from different regions of the world. There is strict quality control from Costco and its distributors. This is especially true for meat products. I also found this organic ground beef to be very rich in flavor. It is also very solid. Many of the other ground beef products I have tasted in the past just felt too mushy. I could tell that this organic ground beef had very low fat levels. There are also no fillers. You can definitely taste the difference. You should always cook all meats thoroughly. Use a meat thermometer and cook ground beef thoroughly, to a uniform temperature of 160°F. The organic ground beef is packaged in three separate pouches and in very sturdy plastic cover. No more accidental punctures or leakage. Great for freezing. Since it is a Kirkland Signature item, the item quality and your satisfaction is guaranteed, or your money back. No questions asked! You’ll love it! Costco Wholesale also has strict quality control and conducts numerous quality assurance tests on its products, especially meat. These days, you never truly know what exactly is mixed into your ground beef. I don’t usually trust any ground beef products at local supermarkets. There is simply no guarantee their origin, content, quality and consistency. Over the past few years, there have also been many cases of E. coli contamination. Mainly due to mishandling and inappropriate processing of ground beef. Some of these smaller retailers simply do not have the rigorous procedures and standards in place. With Kirkland organic ground beef, you can be more confident with what you are eating. And of course, we all still remember the infamous “pink slime” reports published by an ABC News series in 2012. I think Kirkland organic ground beef is the way to go. 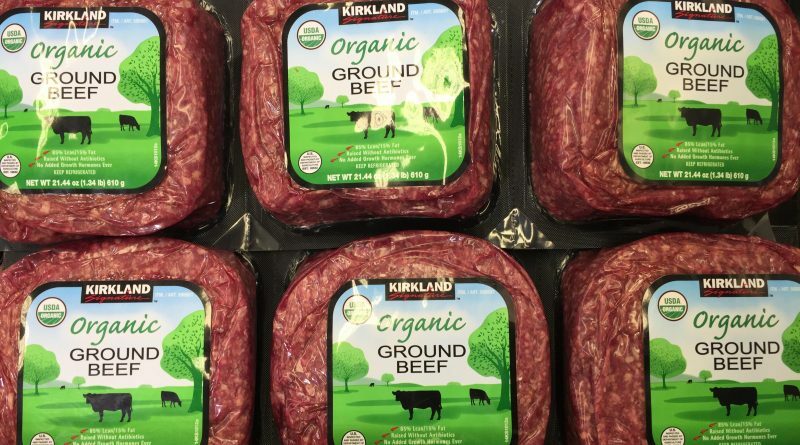 Have you bought Kirkland Organic Ground Beef before? ← Waste Money At Costco?